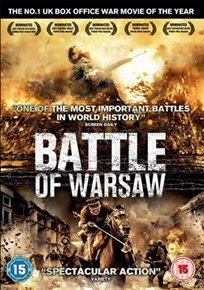 Drama about the final battle of the Polish-Soviet War. When the Russian forces approached Warsaw in August 1920, the Polish fought back, with Jozef Pilsudski, here played by Daniel Olbrychski, commanding the counterattack. Poland’s unexpected victory at the Battle of Warsaw marked the overall outcome of the war. The film follows the battle through the experiences of two individuals, dancer Ola (Natasza Urbanska) and soldier Jan (Borys Szyc).